such colourful dessert...who can ever resist it??? and I love the fact that this is not too sweet!!! 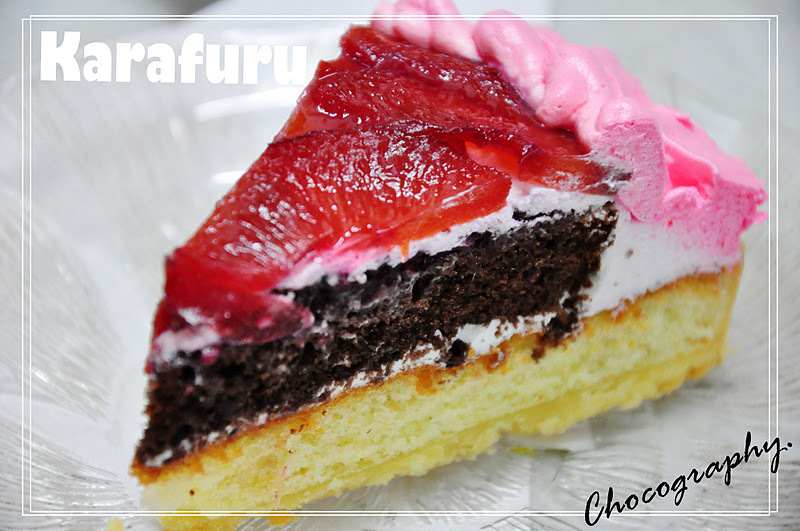 something special I discovered about Karafuru tart is the cake base is not sweet but they rely on the topping for some sweetness for the whole tart...which I think it's fascinating!! 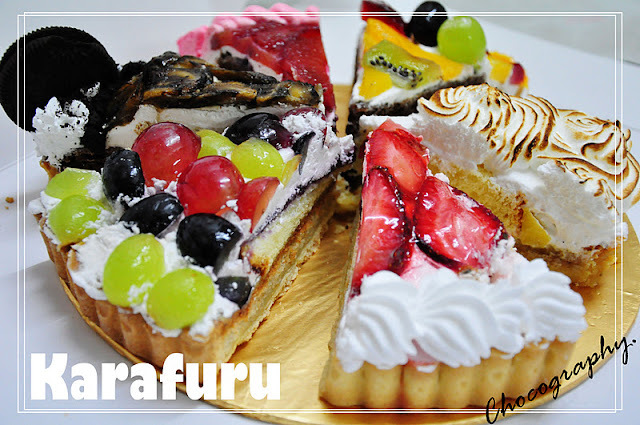 some portrait for these lovely Karafuru tarts..
fresh fruits as topping and very festive kinda feel here! 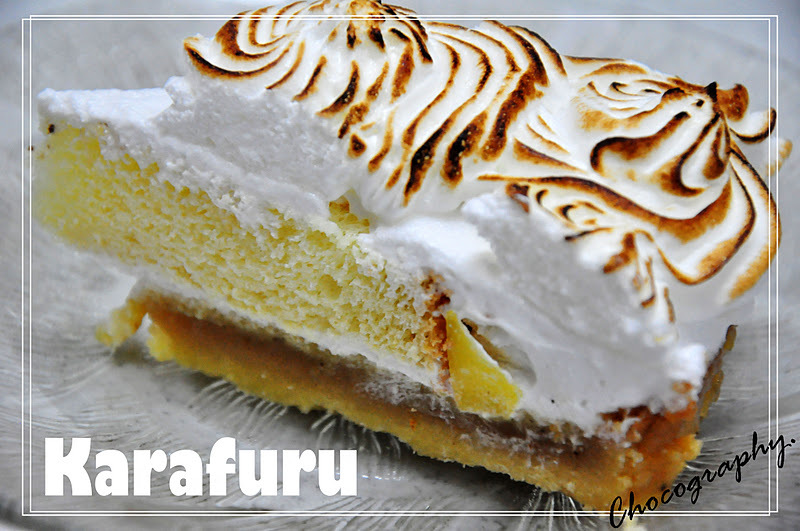 I love the sour taste from this and they used blowtorch for the topping of the cream so that it burnt just nice for the pattern of Meringue..so it's not just a simple dessert but an art to me! 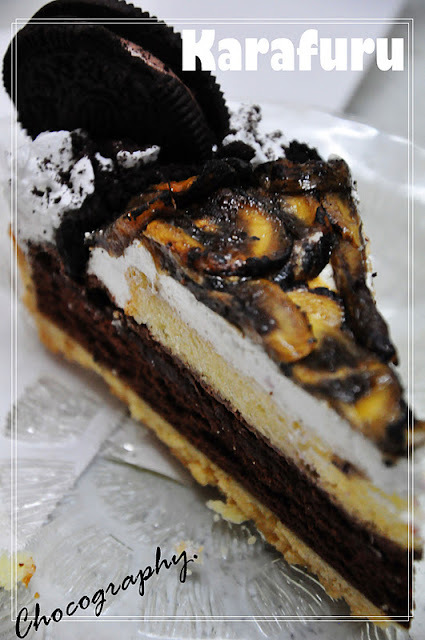 Don't worry about the thick cream as It's not as fattening as you see here..simply light cream I would comment bout it! 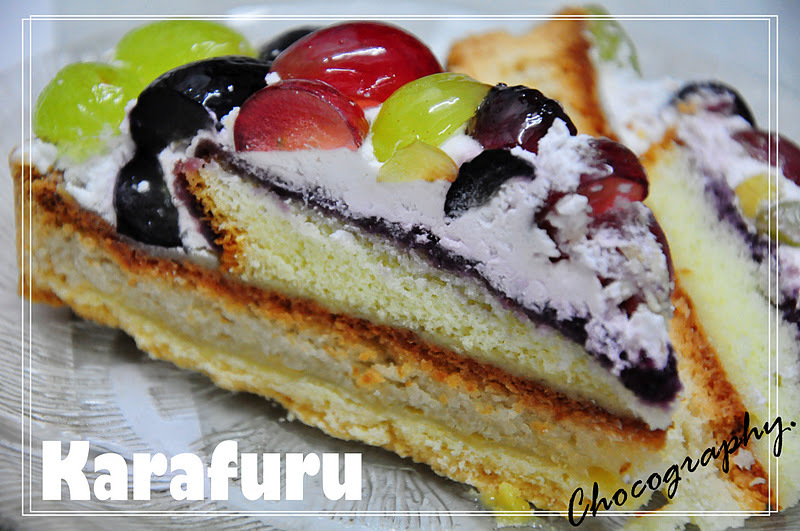 look at the effort how they use different colours of grapes as decor for the topping..great!!! gosh....the caramelized banana blew me away!!!! 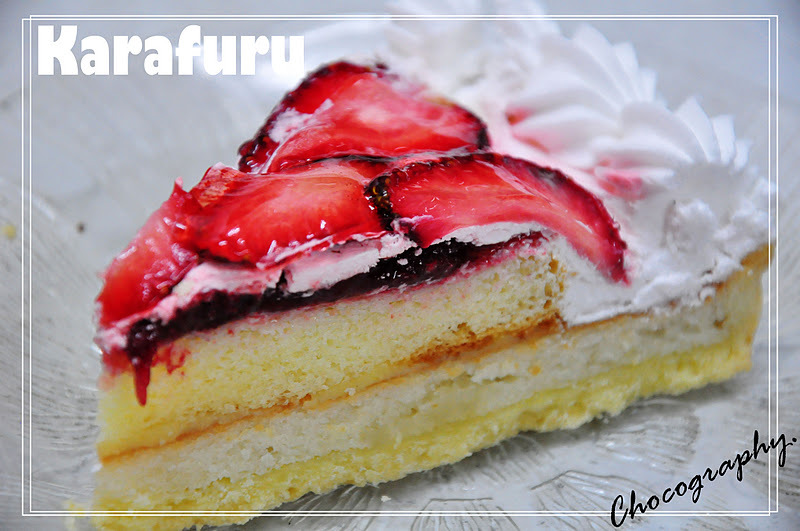 overall I give an "A" for Karafuru tarts! 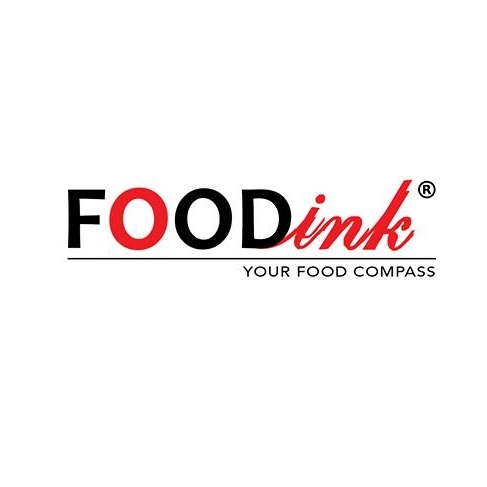 check out their facebook for more dessert updates!!! Try before and taste nice! OMGOSH looks sooooooooooooo goood.... *drools*. Is that cake in the tarts? Look so colourful. very colourful and is a brilliant play if fruits. i do spot my favourite banana oreo. yummeh! 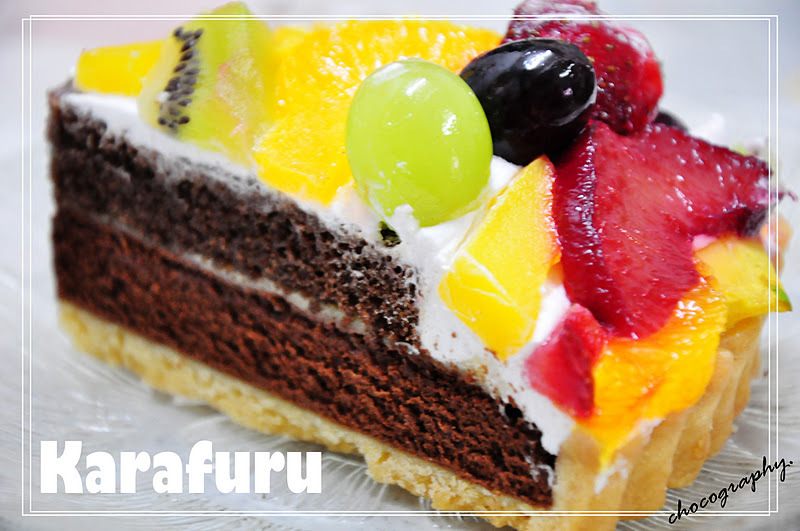 all the food cake look pretty colourful and delicious!